Amy Fletcher is a certified paralegal and received advanced/specialist certification in civil litigation. She assists attorneys with all aspects of complex litigation case files, from pre-trial to post- trial. Ms. Fletcher handles preparation of discovery requests, disclosure statements and subpoenas. She researches and conducts initial interviews with potential expert witnesses. Ms. Fletcher also performs legal research when necessary and reviews and organizes documents. She assists attorneys in preparation for depositions, trial and oral arguments. In addition, Ms. Fletcher prepares questions for voir dire, assists attorneys at trial in both e-courtrooms and traditional courtrooms and actively participates in the jury selection process. Ms. Fletcher is proficient in a number of software programs to manage trial exhibits and depositions. Her post-trial experience includes preparing proposed judgments, verified statements of costs, applications for attorneys’ fees and costs and affidavits of attorneys. From time to time she assists in collection efforts to satisfy judgments. Ms. Fletcher joined Hinshaw & Culbertson LLP in February 2010. 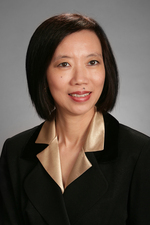 Previously she was a legal assistant at Kutak Rock LLP for 14 years. Prior to her paralegal career, Ms. Fletcher worked for an international bank overseas for nearly 15 years, where she was a senior officer. Contributes and participates in a number of school and church fundraising efforts.